This year’s Robinson May Ball has been cancelled, its committee announced today. Those who have already purchased tickets have been promised full refunds “in due course”. The committee also said that Robinson’s 2020 May Ball will take place as expected. Themed New York, New York: A Retro Revival, the event’s promotional material told ticket-buyers to “prepare to Rock Around the Clock as this year’s Robinson May Ball swings you back in time to old-school New York!”. Standard tickets were priced at £99.99 and £109.99 for college members and non-members respectively, making it one of the cheapest May Balls. Ticket sales at Robinson initially closed on March 15th but were reopened on the 18th, with the committee stating on Facebook that they had “decided to increase the capacity of the ball.” The committee also offered a promotion that ticket-buyers could purchase up to two additional tickets for £79.99 each. The Robinson May Ball presidents have been contacted by Varsity for further comment on the cancellation. The planned 2019 Clare May Ball was also cancelled earlier this academic year. Last year’s May Week saw a host of cancellations, including the biannual Gonville & Caius May Ball, and June Events at Newnham and Trinity Hall. This year, a May Ball will take place at Caius, while a June Event is scheduled for Trinity Hall and Newnham will host a garden party. In a bid to attract would-be ball attendees, last year’s inaugural Wolfson May Ball – themed Valhalla – offered “special promotions” to ticket-buyers from Caius, who were originally meant to receive discounts at the subsequently cancelled Trinity Hall June Event. 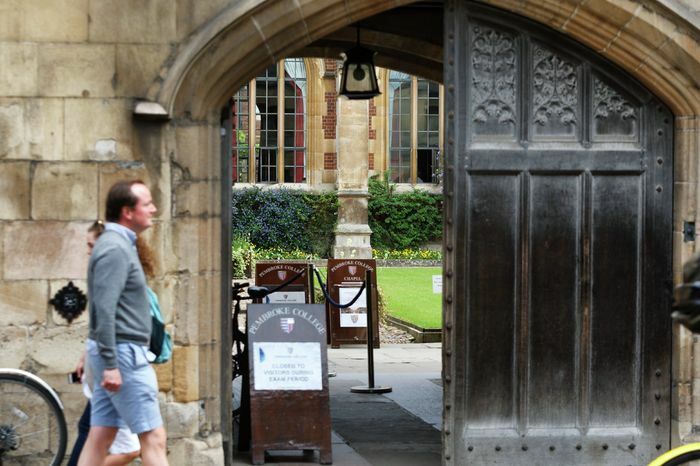 The lead-up to May Week this year has seen a huge surge in colleges offering reduced ticket prices to students in receipt of a Cambridge bursary. Last year, Hughes Hall became the first college to offer discounted tickets: at 20% for students on full bursaries, with Wolfson following suit and CUSU Council voting in May to support the discounts. This year, Jesus announced the largest bursary so far – at 50% for Jesuans receiving a Cambridge bursary – while Pembroke and Downing May Balls offered £30 discounts to students at each college. Subsidies at Homerton reduced tickets from £120 to £100.